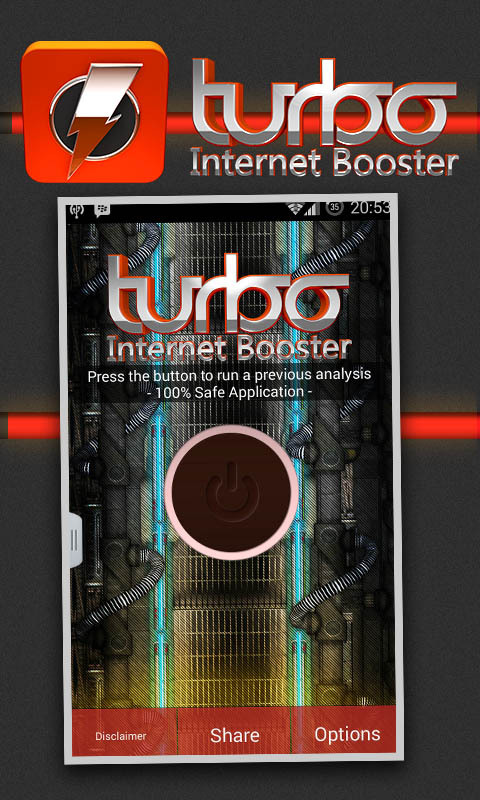 Internet booster turbo will check your device capabilities and determine how much can your internet speed be accelerated. All you need to do is click a button and we'll to all the rest. The first stage of the process is analysis. We will check every detail and see what patch is best for your settings considering your Wifi, 2g, 3g or 4g connection. 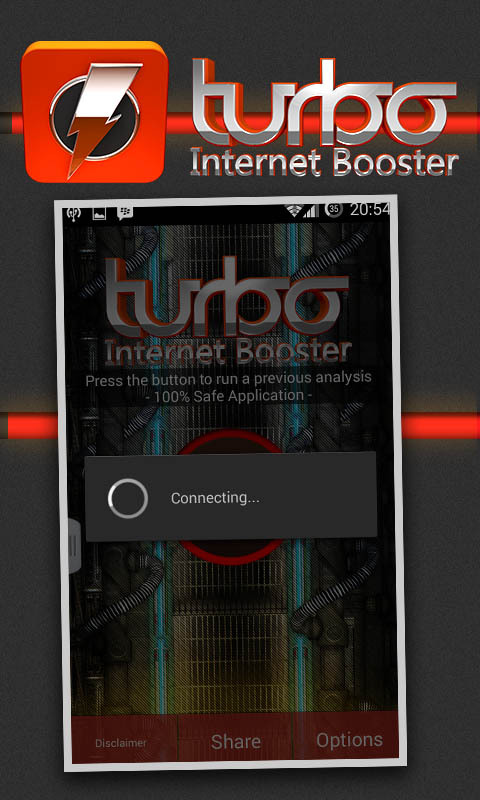 You will then see the option to start the acceleration process or your internet connection. Most of these fixes are available in XDA Developers forums such as this one http://forum.xda-developers.com/showthread.php?t=1346680. 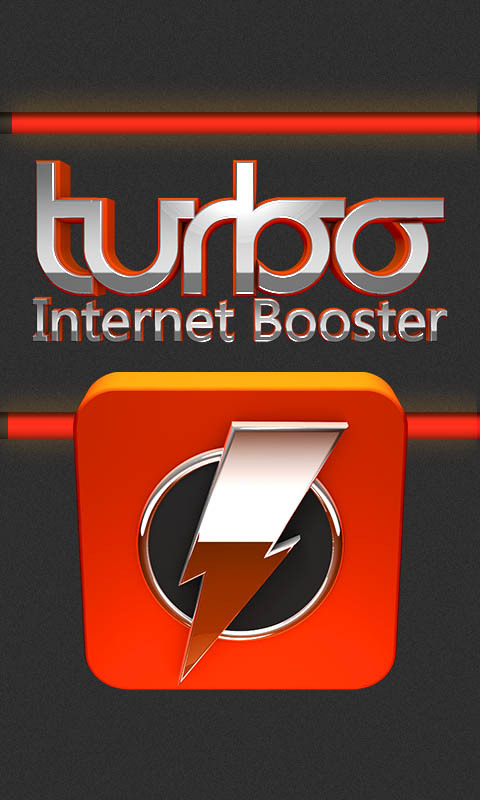 Disclaimer: Please note that this application is intended to be used as a joke to prank your friends and family about having the fastest phone or internet speed. 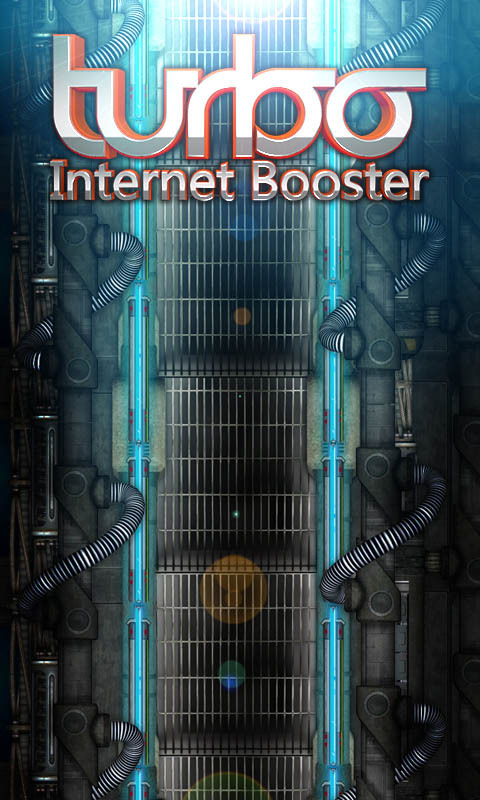 This application has been tested in Samsung Galaxy, Motorola and LG stock ROMs and custom ROMs as well. No ROOT required. Feel free to contact us for feedback.